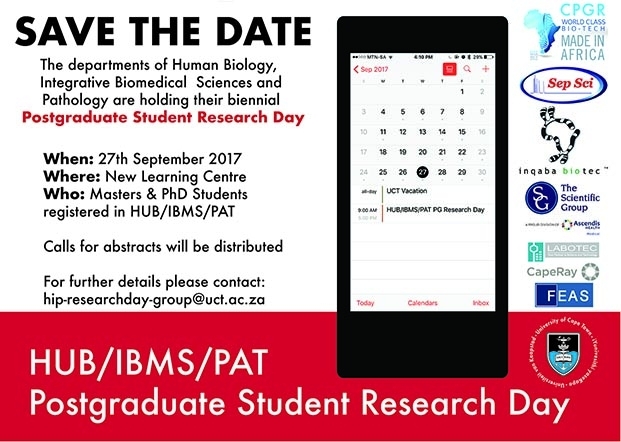 The Departments of Human Biology, Integrative Biomedical Sciences and Pathology will holding their joint Postgraduate Research Day soon. The event will comprise of oral talks and poster presentations and is going to be held on the 27th September 2017, which is only 3 months away. All Masters and Doctoral students registered in the above departments are encouraged to get their abstracts ready as a call for submissions will be sent out in due course.